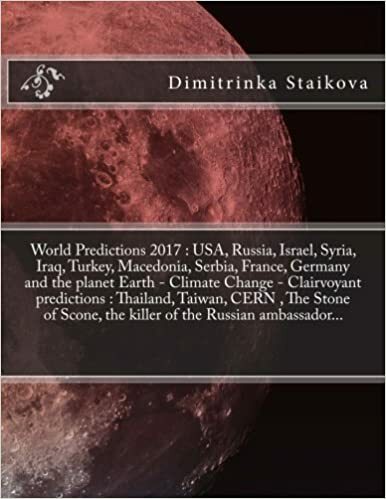 John Brennan (Director Central Intelligence Agency) – Coups, World Conspiracies – Clairvoyant reading/Psychic predictions by Clairvoyant House “Dimitrinka Staikova and daughters Stoyanka and Ivelina Staikova” – from Europe, Bulgaria, Varna – July 17, 2016, 9 am. Photo – July 13, 2016. Time – after the photo. ……..On July 13, 2016 – I see a lot of nerves. John Brennan – financial resources were needed of the releasing of goods – big and flat packages from a sea and railway transport. I see temporary problems with technologies and communications between their selves, disorders in documents and because of them problems with investigations. Two day earlier they were expecting the coup in Turkey. Tacitly ,there were consultations and advices what should be done in such moment. There were a special group, that was engaged with monitoring of the events and connection with Turkey. There were an aircraft of USA that flew from the american military base in Turkey and was touring- as a patrol, to prevent the external intervention during the events. Through CIA and John Brennan, there is a sending (shipment) of gold in USA as a bargaining chip against Fethullah Gullen or his location. John Brennan expects more serious problems in September 2016, that will threaten his staying in CIA as director. Now, after a few days- July 15-16, 2016 – are increasing the attacks from Turkey to Iraq and part of Syria. On a syrian territory there are made installations – I see pipes, that are connected and buried in the ground – direction Turkey. I see also small squads of people to move toward the capital of Syria – they bring mainly money in cash and test tubes with yellow liquid. 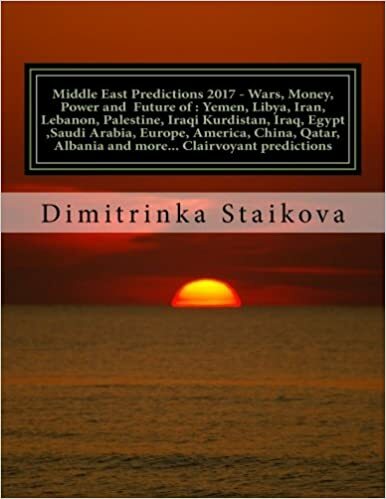 Around July 20, 2016 is expected a fight on the turkish – syrian border, which I see that it is well directed by CIA – the goal is killed people and collapse of earth layers – that in the future will be presented as an offer about new turkish – syrian border. A company tied to Erdogan’s government hired retired general Michael Flynn’s lobbying firm. “…The Alliance for Shared Values, a nonprofit affiliated with the Gulenist movement in the U.S., said hiring Flynn’s firm appeared to be part of a Turkish government smear campaign against the cleric….”. “…Flynn, a former director of the Defense Intelligence Agency, is widely considered a contender for defense secretary or national security adviser. The former role would require a congressional waiver because he has not yet been a civilian for seven years….”. 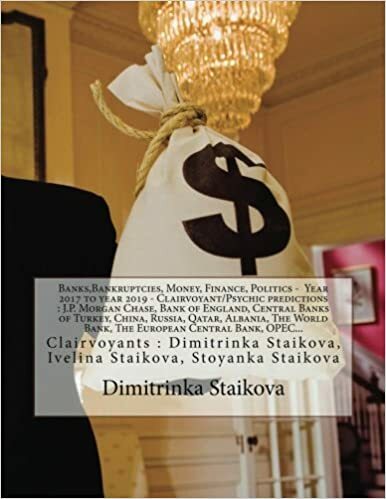 This entry was posted in #Finance, Ankara, banks, Bilderberg group, billionaires, Black Lives Matter, BRUSSELS ATTACKS, business, Clairvoyant, Confirmation, Cyprus, Davutoglu, Donald Trump, Erdogan, Health diagnosis, Hillary Clinton, Money, Politicians, President Barack Obama, Psychic, Syria, terrorism, Turkey, Uncategorized, Us Elections 2016, War, Washington, World predictions that came true and tagged #AllLivesMatter, #BlackLivesMatter, #blmdmv, #byp100dc, #FreedomNow, #fundblackfutures, #STOPFOP, #StoptheCops, a conflict of interest, Activists, African-american, African-American Civil Rights Movement, African-American islamic religious movement, Alton Sterling, America, American white nationalist, Andrew Cuomo, Ankara, August 2016, Baton Rouge, Bernie Sanders, Black Lives Matter movement, Black Lives Matter-affiliated group, Black Movement, black movements, Black Youth Project 100, BLM actions, Blue Wall of Silence, Brexit, business, BYP100, Central Intelligence Agency, Chairman, Chris Christie, CIA, Civil Rights Movement, civil unrest, clairvoyant, clairvoyant reading, Cleric Gulen, close ally of Turkey's president, consulting firm, Coup attempt in Turkey, Coups, custody, D.C., David Cameron, David Duke, Defense Intelligence Agency, Democrats, Democrats or Republicans, departments of State and Defense, Devlet Bahceli, Director, Donald Trump, Donald Trump 2016, Donald Trump Cabinet, Dutch consulting firm, Election 2016, Election Day, Elections 2016, Erdogan's purge, Erdoğan’s government, excessive force cases, failed army coup, Falcon Heights, FBI Director, Fethullah Gulen, Flynn Intel Group, Flynn's firm, FOP, foreign affairs, Foreign Economic Relations Board of Turkey, foreign governments, Former leader, Gülen's lawyers, general's closeness to Trump, Governor, Governor Jay Inslee, grand wizard, Grey Wolves, Gulenist movement, Hashim Nzinga, Hillary Clinton, House National Security Subcommittee, Huma Abedin, Indiana, Ingress, Inovo BV, intelligence services, Istanbul, James Comey, John Brennan, John Hanke, Kamil Ekim Alptekin, Ku Klux Klan, law enforcement, lawsuit against Hillary Clinton, leader, lobbying, lobbying contract, lobbying firm, Lobbyist, Louisiana, Lt. General Michael Flynn, Meeting with the business, Michael Flynn, Mike Pence, military coup, Minister Louis Farrakhan, Minnesota, money, Movement for Black Lives, Mr. Erdogan, Mr. Gülen, Nation of Islam, Nationalist Movement Party of Turkey, New Black Pather Party, New Jersey, New York, New York Police Department, Niantic, Nintendo, NYC Police Union Headquarter, NYPD, Patrolman Benevolent Association, Pennsylvania, Pennsylvania-based cleric, Philando Castile, plot, Pokemon Go, police, Police shooting, police union headquarters in Washington, political month, politician, Predictions, predictions for usa 2016, President Donald Trump, presidential palace, Prime Minister of Great Britain, Problems, protesters, protests, psychic, psychic predictions, Psychic Predictions for USA 2016, racial discrimination, Recep Tayyip Erdogan, Republicans, retired general Michael Flynn, retired general Michael Flynn's lobbying firm, Retired Lt. Gen. Michael Flynn, riots, safe haven, Shaun King, social justice movement, State, State Governor, State Of America, State of emergency, TAIK, Taksim Square, the future of Great Britain, the murder of the President of USA, The Party, the transition between President Obama and President-Elect Trump, Theresa May, Tom Wolf, top national security advisers, top national security post, transatlantic relationship, Trump adviser, Trump transition, Turkey coup attempt, Turkey war footing, Turkey's national security council, Turkish coup plot, Turkish Government, Turkish interests, Turkish lobbying, Turkish Nationalist Organisation, Turkish President Recep Tayyip Erdogan, Turkish-American Business Council, Turkish-American relations, U.S. foreign and domestic policy, UK, Unrest, US Election 2016, US-based cleric Fethullah Gulen, USA, USA 2016, vice chair of the Trump transition, Washington, White House officials, White Supremacy, Who will win on US Election 2016, World Conspiracies, world predictions on November 17, 2016 by Clairvoyant Dimitrinka Staikova. James Comey (FBI Director) – Problems – When? with black movements, protests…When is the bad period for James Comey, Meeting with the business. When will be the lawsuit against Hillary Clinton? 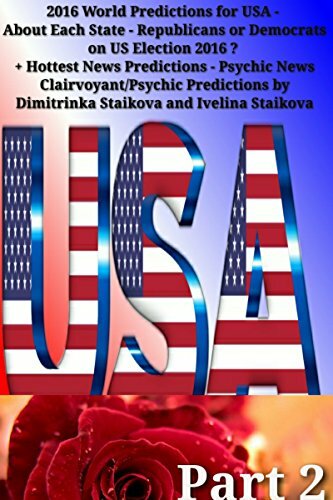 – Clairvoyant reading/Psychic predictions by Clairvoyant House “Dimitrinka Staikova and daughters Stoyanka and Ivelina Staikova” – from Europe, Bulgaria, Varna – July 17, 2016, 2pm. Photo – July 7, 2016. Time – after the photo. …..In the eyes of James Comey I see a lot of nerves, because of the case with the emails of Hillary Clinton. So structured, the accusation doesn’t reach to successful end. 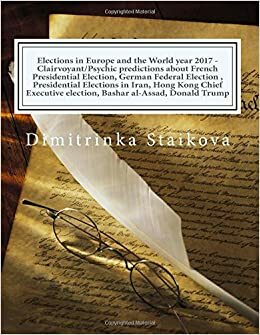 In the future, the accusations about the emails and their connection with Libya are separated. After the elections, the accusations connected with Libya are going in the court. • James Comey, July 2016, has a problem with the controlling of the nerves and control of the degree of sound of its speech. After July 7,2016 – problems with the sinus drainage ducts – problems with nerves and wife. Before July 10, 2016 – a conversation with a leader of black movements. – Stress in a car – (but is is from civil servants). After July 10, 2016 – strong pains in the spine – taking of medicines, problems with kidneys. Before July 15, 2016 – there are disorders, injured – Electoral rallies. Around July 20, 2016 – there is gathering (meeting) of energy bosses and big energy companies. James Comey changes its beliefs – he remains on its official duties and he observes them strictly, but he participates in a forum (business) connected with future business and new fields, and gold mining and …..- the business is connected with a space technology and creation of a new company, as a branch of the existing one. The business is starting on a land in Libya – Africa. It is related also with a fields and lands near Libya. The man who locally – from Africa will arrange the deal, leaving the country will be killed (in the future). Before the end of July 2016 are expected clashes with black movements – more than 70 people will be injured against a few injured policemen. I see a big mass of people gathered – I see their separation on two groups by the police and they will be beaten. 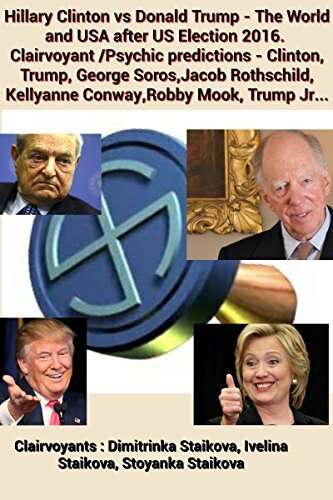 • August 2016 – after the first days – operation which FBI prevents – a deal with gold. Until August 10,2016 – I see an underground technique about withdrawal of liquid – a pollution and searching of the source of water pollution with energy products. Around the middle of August 2016 – a holiday and after August 16-17 – again unrests of African-americans. • The end of August and the beginning of September 2016 – problems with Obama. August and September 2016 – problems with Hillary Clinton – I see problems with a car and a strong fright. September 2016 is a bad month for James Comey – full with nervous tension without personal time, with a loss of money, confidence, loss of everything he has built. I see successful orientation in the future to the private business….After that, a political career is waiting for him………. 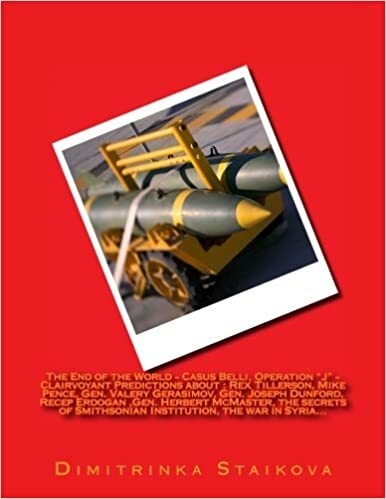 This entry was posted in Ankara, Bilderberg group, billionaires, Black Lives Matter, BRUSSELS ATTACKS, business, Clairvoyant, Confirmation, Cyprus, Davutoglu, Donald Trump, Erdogan, Health diagnosis, Hillary Clinton, Italy Earthquake, Manuel Valls, MH370, migrant crisis, Money, Nicos Anastasiades, Peace, Politicians, President Barack Obama, Psychic, royal family, Stephen Hawking, Syria, terrorism, Turkey, Uncategorized, Us Elections 2016, War, Washington, World predictions that came true and tagged #AllLivesMatter, #BlackLivesMatter, #blmdmv, #byp100dc, #FreedomNow, #fundblackfutures, #STOPFOP, #StoptheCops, Activists, African-american, African-American Civil Rights Movement, African-American islamic religious movement, Alton Sterling, America, American white nationalist, Andrew Cuomo, Ankara, Attorney General Loretta Lynch, August 2016, Baton Rouge, Benghazi, Bernie Sanders, Black Lives Matter movement, Black Lives Matter-affiliated group, Black Movement, black movements, Black Youth Project 100, BLM actions, Blue Wall of Silence, Brexit, business, BYP100, Central Intelligence Agency, Chairman, Chris Christie, CIA, Civil Rights Movement, civil unrest, clairvoyant, clairvoyant reading, Classified Information, Cleric Gulen, Clinton’s campaign, Comey's supporters, Coup attempt in Turkey, Coups, Criminal Division, custody, D.C., David Cameron, David Duke, Democrats, Democrats or Republicans, Deputy Attorney General Sally Yates, Devlet Bahceli, Director, Donald Trump, Election 2016, Elections 2016, Erdogan's purge, excessive force cases, failed army coup, fairness, Falcon Heights, FBI agents, FBI Director, FBI director James Comey, FBI's reopened investigation into Clinton's emails, FOP, Former leader, former President Bill Clinton, Governor, Governor Jay Inslee, grand wizard, Grey Wolves, Hashim Nzinga, Hillary Clinton, Hillary Clinton's private email server, Hillary's campaign, Hillary's emails, House's Oversight Committee, Huma Abedin, Indiana, Ingress, intelligence services, Istanbul, James Comey, John Brennan, John Hanke, Judiciary Committees, Justice Department', Ku Klux Klan, law enforcement, lawmakers, lawsuit against Hillary Clinton, leader, Libya, Louisiana, Meeting with the business, Mike Pence, military coup, Minister Louis Farrakhan, Minnesota, money, Movement for Black Lives, Mr. Erdogan, Nation of Islam, Nationalist Movement Party of Turkey, neutrality, New Black Pather Party, New Jersey, New York, New York Police Department, Niantic, Nintendo, nonpartisanship, NYC Police Union Headquarter, NYPD, oil prices, Patrolman Benevolent Association, Pennsylvania, Philando Castile, plot, Pokemon Go, police, Police shooting, police union headquarters in Washington, political month, politically sensitive investigations, politician, Predictions, predictions for usa 2016, presidential candidate Hillary Clinton had a seizure in New York, presidential election, presidential palace, presidential race, Prime Minister of Great Britain, Problems, protesters, protests, psychic, psychic predictions, Psychic Predictions for USA 2016, Public Integrity Section, racial discrimination, Recep Tayyip Erdogan, Republican members of the House, Republicans, riots, Secretary Clinton email investigation, Senate Intelligence Committees, Senate's Homeland Security Committee, Shaun King, social justice movement, State, State Governor, State Of America, State of emergency, Taksim Square, the dollar, The FBI director, the future of Great Britain, the letter to Congress, the markets, the murder of the President of USA, The New York Times, the outcome, the outcome of a presidential election, The Party, Theresa May, Tom Wolf, Turkey coup attempt, Turkey war footing, Turkey's national security council, Turkish coup plot, Turkish Nationalist Organisation, UK, Unrest, US Election 2016, US stocks, US-based cleric Fethullah Gulen, USA, USA 2016, Washington, White Supremacy, Who will win on US Election 2016, World Conspiracies, world predictions on October 29, 2016 by Clairvoyant Dimitrinka Staikova. …………With the ordinary people the life will run with more cruelty among the people and as usually. 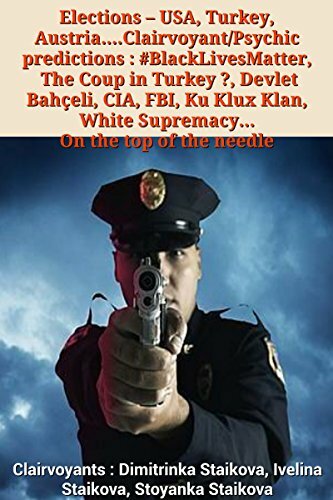 The Criminality, shootings and murders are increased……..
Second night of unrest rocks the city following the fatal police shooting of Keith Scott, a black man. 1.Hashim Nzinga (Chairman of the New Black Pather Party USA -Black power movement) – The future of the movement 2016, 2017, 2018 – about each month. Elections 2016 and 2017. Behind which political leader they will stay ? 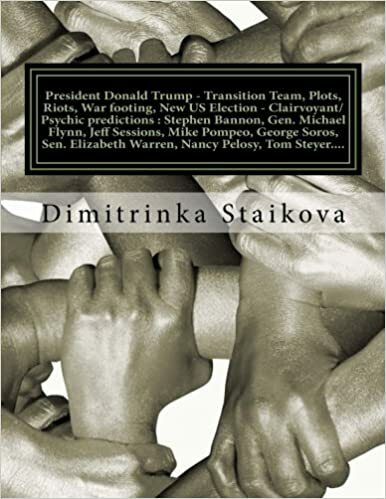 Who will become President of USA on the US Election 2016 ?- Clairvoyant/Psychic predictions – July 13, 2016, 3pm. 2.Shaun King (Black Lives Matter Leader) – Year 2016 and 2017 – Unification with other Black Movements. Then a quiet front in the war with the law enforcement. Shaun King is not a traitor…He leads a war against the law with legal methods – Clairvoyant/Psychic predictions – July 14,2016, 4 pm. 3.Minister Louis Farrakhan (Leader of Nation of Islam – African-American islamic religious movement founded 1930) – This black movement is a state within a state. When Louis Farrakhan is including in the united black movements ? The future of ” Nation of Islam” movement in three stages – from year 2016, 2017 untill 200 years ahead – Clairvoyant/Psychic predictions- July 15 ,2016, 3 pm. 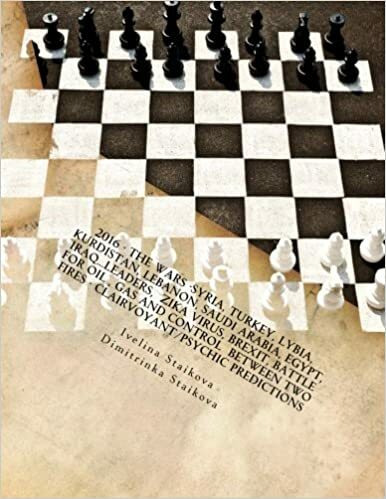 This entry was posted in Ankara, Bilderberg group, billionaires, Black Lives Matter, BRUSSELS ATTACKS, business, Clairvoyant, Confirmation, Cyprus, Davutoglu, Donald Trump, Erdogan, Health diagnosis, Hillary Clinton, Italy Earthquake, Manuel Valls, migrant crisis, Money, Nicos Anastasiades, Peace, Politicians, President Barack Obama, Psychic, royal family, Syria, terrorism, Uncategorized, Us Elections 2016, War, Washington, World predictions that came true and tagged #AllLivesMatter, #BlackLivesMatter, #blmdmv, #byp100dc, #FreedomNow, #fundblackfutures, #STOPFOP, #StoptheCops, Activists, African-american, African-American Civil Rights Movement, African-American islamic religious movement, Alton Sterling, America, American white nationalist, Andrew Cuomo, Ankara, August 2016, Baton Rouge, Bernie Sanders, Black Lives Matter, Black Lives Matter movement, Black Lives Matter-affiliated group, black man, Black Movement, black movements, Black Youth Project 100, BLM actions, Blue Wall of Silence, Brexit, business, BYP100, Camp Lejeune, Central Intelligence Agency, Chairman, Charlotte, Charlotte protests, Charlotte’s business district Uptown, Chris Christie, CIA, Civil Rights Movement, civil unrest, clairvoyant, clairvoyant reading, clay planters, Cleric Gulen, confrontation, Coup attempt in Turkey, Coups, custody, D.C., David Cameron, David Duke, Democrat, Democrats, Democrats or Republicans, demonstrations, Devlet Bahceli, Director, Donald Trump, Election 2016, Elections 2016, Erdogan's purge, excessive force cases, failed army coup, Falcon Heights, FBI Director, FOP, Former leader, Governor, Governor Jay Inslee, governor of North Carolina, governor Pat McCrory, governor Pat McCrory d, grand wizard, Grey Wolves, gunfire, Hashim Nzinga, Highway Patrol, Hillary Clinton, Indiana, Ingress, intelligence services, interracial, Istanbul, James Comey, John Brennan, John Hanke, Keith Scott, Ku Klux Klan, law enforcement, lawsuit against Hillary Clinton, leader, Louisiana, Mayor Jennifer Roberts, Meeting with the business, Mike Pence, militarization, military base, military coup, Minister Louis Farrakhan, Minnesota, Moltov cocktail, money, Movement for Black Lives, Mr. Erdogan, N.C., Nation of Islam, National Guard, Nationalist Movement Party of Turkey, New Black Pather Party, New Jersey, New York, New York Police Department, Niantic, Nintendo, North Carolina, NYC Police Union Headquarter, NYPD, Patrolman Benevolent Association, Pennsylvania, Philando Castile, plot, Pokemon Go, police, police and protesters, police chief, Police shooting, police shooting of Keith Scott, police shot and killed a black man, police union headquarters in Washington, police video of the shooting, political month, politician, Predictions, predictions for usa 2016, presidential palace, Prime Minister of Great Britain, Problems, protester’s shooting, protesters, protests, psychic, psychic predictions, Psychic Predictions for USA 2016, punks, racial discrimination, Recep Tayyip Erdogan, Republicans, Rioting in North Carolina, riots, second night of protests, Shaun King, social justic, social justice, social justice movement, State, State Governor, State Of America, State of emergency, Taksim Square, tear gas canisters, the future of Great Britain, the murder of the President of USA, The Party, THE WASHINGTON TIMES, Theresa May, Tom Wolf, Turkey coup attempt, Turkey war footing, Turkey's national security council, Turkish coup plot, Turkish Nationalist Organisation, UK, Unrest, US Election 2016, US policing, US-based cleric Fethullah Gulen, USA, USA 2016, vandals thugs, violent confrontation with the cops, war zone, Washington, White Supremacy, Who will win on US Election 2016, World Conspiracies, world predictions on September 22, 2016 by Clairvoyant Dimitrinka Staikova. 3.Minister Louis Farrakhan (Leader of Nation of Islam – African-American islamic religious movement founded 1930) – This black movement is a state within a state. When Louis Farrakhan is including in the united black movements ? The future of ” Nation of Islam” movement in three stages – from year 2016, 2017 untill 200 years ahead – Clairvoyant/Psychic predictions– July 15 ,2016, 3 pm. 4.Devlet Bahçelı – July 16, 2016, 11am. 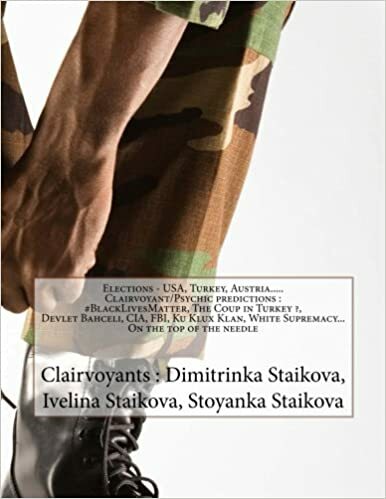 (Leader of Grey Wolves – Turkish Nationalist Organisation and Chairman of Nationalist Movement Party of Turkey) – The Party, A coup, Money, Business, Elections 2016, 2017 – Clairvoyant/Psychic predictions – July 16 ,2016, 11am. 5.John Brennan (Director Central Intelligence Agency) – Coups, World Conspiracies – Clairvoyant reading/Psychic predictions – July 17, 2016, 9 am. 6.James Comey (FBI Director) – Problems – When? with black movements, protests…When is the bad period for James Comey, Meeting with the business. When will be the lawsuit against Hillary Clinton? – Clairvoyant reading/Psychic predictions – July 17, 2016, 2pm. 7.David Duke (Former leader (grand wizard) of Ku Klux Klan, American white nationalist, politician) – His soft spots and good parts – Clairvoyant/Psychic predictions – July 18 ,2016, 3pm. 8.Theresa May (Prime Minister of Great Britain) – The Future of Great Britain – Clairvoyant/Psychic predictions – July 19 ,2016, 2pm. 9.John Hanke (Creator of Pokemon Go and Ingress applications) – A trap for action – Clairvoyant/Psychic predictions – July 19 ,2016, 3pm. + New Jersey and State Governor Chris Christie – Clairvoyant/Psychic Predictions for USA 2016 – About Each State Of America – Who will win on US Election 2016 – Democrats or Republicans ? New York and State Governor Andrew Cuomo Clairvoyant/Psychic Predictions for USA 2016 – About Each State Of America – Who will win on US Election 2016 – Democrats or Republicans ? Pennsylvania and State Governor Tom Wolf Clairvoyant/Psychic Predictions for USA 2016 – About Each State Of America – Who will win on US Election 2016 – Democrats or Republicans ? This entry was posted in Ankara, Bilderberg group, billionaires, BRUSSELS ATTACKS, business, Clairvoyant, Confirmation, Cyprus, Davutoglu, Donald Trump, Erdogan, Health diagnosis, Hillary Clinton, Manuel Valls, MH370, migrant crisis, Money, Nicos Anastasiades, Peace, Politicians, President Barack Obama, Psychic, royal family, Syria, terrorism, Turkey, Uncategorized, Us Elections 2016, War, Washington, World Predictions 2014, World Predictions 2015, World predictions that came true and tagged #AllLivesMatter, #BlackLivesMatter, #blmdmv, #byp100dc, #FreedomNow, #fundblackfutures, #STOPFOP, #StoptheCops, Activists, African-american, African-American Civil Rights Movement, African-American islamic religious movement, Alton Sterling, America, American white nationalist, Andrew Cuomo, Ankara, August 2016, Baton Rouge, Bernie Sanders, Black Lives Matter movement, Black Lives Matter-affiliated group, Black Movement, black movements, Black Youth Project 100, BLM actions, Blue Wall of Silence, Brexit, business, BYP100, Central Intelligence Agency, Chairman, Chris Christie, CIA, Civil Rights Movement, civil unrest, clairvoyant, clairvoyant reading, Cleric Gulen, Coup attempt in Turkey, Coups, custody, D.C., David Cameron, David Duke, Democrats, Democrats or Republicans, Devlet Bahceli, Director, Donald Trump, Election 2016, Elections 2016, Erdogan's purge, excessive force cases, failed army coup, Falcon Heights, FBI Director, FOP, Former leader, Governor, Governor Jay Inslee, grand wizard, Grey Wolves, Hashim Nzinga, Hillary Clinton, Indiana, Ingress, intelligence services, Istanbul, James Comey, John Brennan, John Hanke, Ku Klux Klan, law enforcement, lawsuit against Hillary Clinton, leader, Louisiana, Meeting with the business, Mike Pence, military coup, Minister Louis Farrakhan, Minnesota, money, Movement for Black Lives, Mr. Erdogan, Nation of Islam, Nationalist Movement Party of Turkey, New Black Pather Party, New Jersey, New York, New York Police Department, Niantic, Nintendo, NYC Police Union Headquarter, NYPD, Patrolman Benevolent Association, Pennsylvania, Philando Castile, plot, Pokemon Go, police, Police shooting, police union headquarters in Washington, political month, politician, Predictions, predictions for usa 2016, presidential palace, Prime Minister of Great Britain, Problems, protesters, protests, psychic, psychic predictions, Psychic Predictions for USA 2016, racial discrimination, Recep Tayyip Erdogan, Republicans, riots, Shaun King, social justice movement, State, State Governor, State Of America, State of emergency, Taksim Square, the future of Great Britain, the murder of the President of USA, The Party, Theresa May, Tom Wolf, Turkey coup attempt, Turkey war footing, Turkey's national security council, Turkish coup plot, Turkish Nationalist Organisation, UK, Unrest, US Election 2016, US-based cleric Fethullah Gulen, USA, USA 2016, Washington, White Supremacy, Who will win on US Election 2016, World Conspiracies, world predictions on July 21, 2016 by Clairvoyant Dimitrinka Staikova.